At the recent monthly Trustees committee meeting two prospective new members were welcomed, there was a debrief on our recent successful Fashion Show & Supper and a discussion about forthcoming fundraising events – including our collection at Sainsbury’s on December 18, our Christmas raffle and a Greek Night in the New Year. What a busy time we’ve had. Saturday, October 20 was an absolutely glorious day and well chosen for members to carry out a litter pick on the beach at West Bay in Westgate. Many Rotary clubs were taking part on beaches and rivers throughout Kent and East Sussex. The ‘Annual After Tea Party’ with musical entertainment from the ‘Blend’ choir gets bigger each year. This year the club welcomed over 70 people from Thanet Parkinsons and East Kent Independent Dementia groups at Kearns Hall. 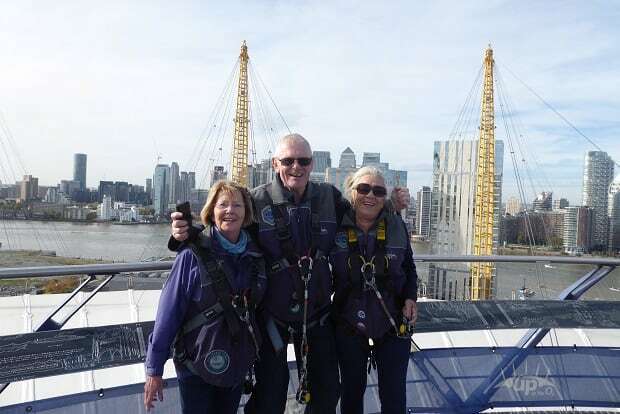 On Tuesday, October 23, three members from the club joined another 44 members from other Rotary Clubs for a sponsored climb of the Millennium Dome, to raise funds towards the worldwide campaign to ‘End Polio Now’. A total of £790 has been pledged to our club and when this has been matched 2:1 by the Bill and Melinda Gates Foundation it will be lifted to a total of £2370. 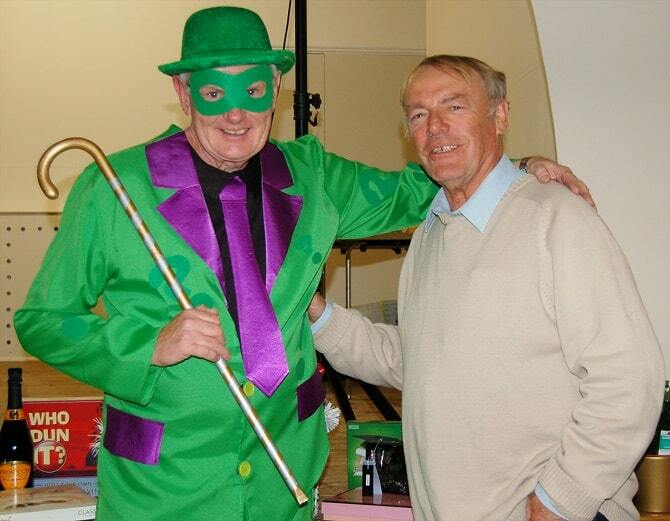 ‘The extra-ordinary ordinary’ quiz night on Friday, November 2 was a great fun quiz as usual. 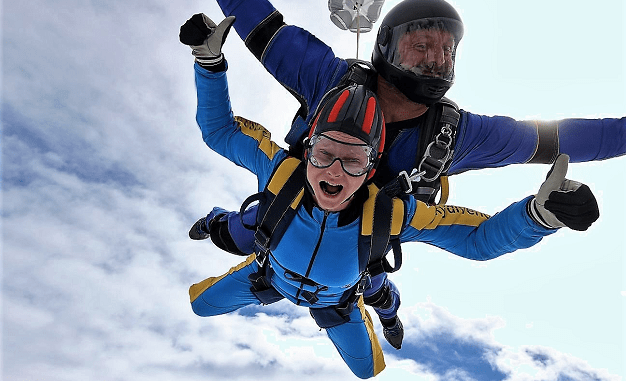 A total of £640 was raised for local charities. Future events include a meal out at the Greek Taverna in Westbrook on Friday, November 23; charity collections in December; Buddy Holly Tribute Night at the Sarah Thorne Theatre in Broadstairs on Saturday, January 12 with Marc Robinson and the Counterfeit Crickets; Valentine’s theme race night on Friday, February 15; Rotary Sunrise Big Knit – special 10th anniversary occasion on Saturday, March 16. The club is collecting used postage stamps to raise funds for ‘Stamp Out MND’ (Motor Neurones Disease), collection points are currently at Joe’s café in Minnis Bay and Simtech Computer Systems in Northdown Road, Cliftonville, other venues being sought if you have space on your counter and passing trade. Also, we welcome any items suitable for raffle prizes, please consider donating them to our raffle bank. County councillor Paul Messenger, is to speak about future opportunities for Ramsgate Port and Marina, at a meeting of Ramsgate Rotary Club on November 27. He is one of the leaders in plans for the future of the area and has a key part to plan. From Monday to Friday, December 3-8 there will be a Christmas Tree festival. Our church will be decorated with trees from our community, other church groups and local businesses. The church will be open daily from 10.30am to noon for coffee and cakes and again from 5pm to 7pm for mulled wine and mince pies. Thursday night is hot chocolate night! There will also be a display of Nativity scenes in the Lady Chapel. We look forward to welcoming you on Sunday, December 23 at our 11am service, and/or our 3pm carol service and tea. All new visitors are most welcome to come along and see if our institute is right for you. Our Christmas fair is on Thursday, December 13 at 7.30pm at Cliffs in Northdown Road. 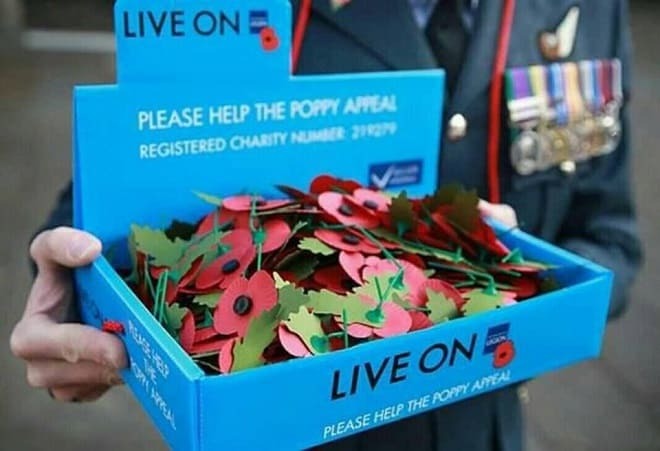 Sainsbury’s Thanet Westwood Cross customers have so far, excluding the weekend, raised £8,153.68 for the Poppy Appeal. The store is taking part in Purple Tuesday. Quiet hours 9am to 10 am and then 4pm till 5pm for accessible shopping.